Blender 2.79 new features: Filmic! In the next few weeks, Blender will receive an update that will bring lots of new features.  Among those features, you will find one that is shocking architectural visualization artists! I'm talking about Filmic. In summary, it is a new profile to manage colors in Blender that will dramatically boost dynamic range. Meaning photo-realism with no need for an incredible amount of lights and settings. In most cases, only an environment texture will already give you outstanding results. 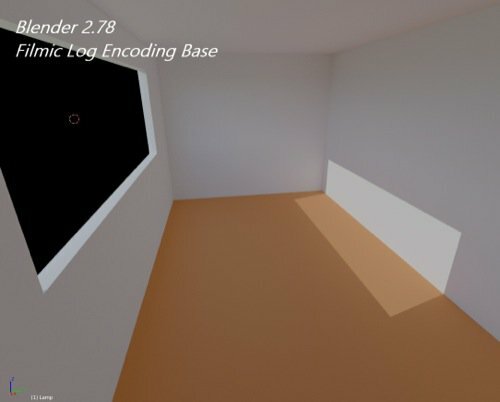 To get it in Blender 2.78 you have to download the profile and replace the contents of your colormanagement folder in Blender. 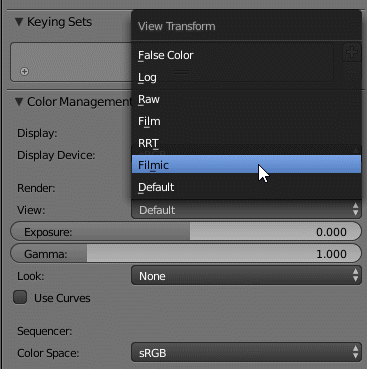 Now Filmic will come built in Blender 2.79, and you don't have to download separately. The place to find Filmic remains the same, at the Scene tab in the properties window. 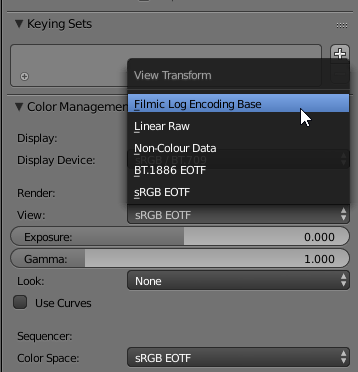 Go to the Color Management section and Render/View selector with Filmic there. But, from my initial tests with Blender 2.79 test builds, something somehow different about that Filmic option. And now using the 2.79 built in Filmic. What is wrong with that image? Take a look at the same scene using the custom Filmic profile in Blender 2.78. 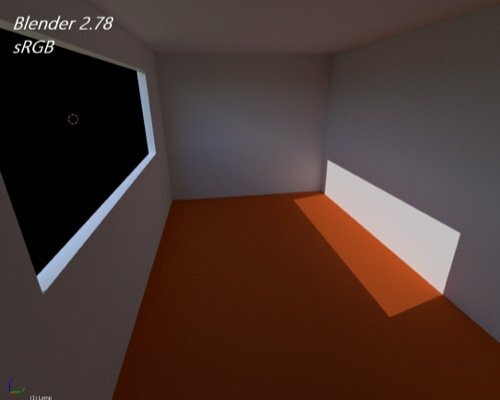 Notice how the light levels using the same settings are much better in Blender 2.78 with the custom Filmic. The good news is that you can also replace the profile in Blender 2.79, just get the zip from the original repository and replace the contents of your colormanagement folder. If you check “none” and “base” contrast looks they produce the same result. “None” should give you the flat and dull log image you’re missing, but it doesn’t. I guess it qualifies as a bug and it should be reported before 2.79 is released. btw, when I say “flat and dull” it’s a good thing: it’s log encoding. Super useful to judge detail in shadows and highlights when lighting your scene and also a great starting point for grading. Blender 2.79 has now been released, so I downloaded a copy. Hooray! Filmic! I don’t have to setup filmic on all of my render nodes! It seems this bug still persists. 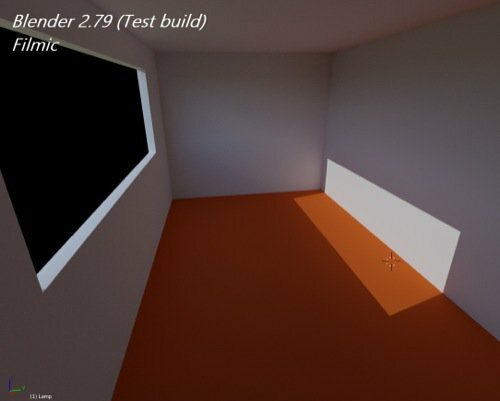 I built a similar test scene, box with window on one side. Filmic with any contrast looks the same as none. ALSO, I miss the "false color" contrast provided with sobotka's source. It’s actually still there. Look under Scene/Color Management/View. You’ll see False color. Looks like Blender just moved a bunch of settings to me. It seems that the Blender Filmic is very much like the original Filmic. I just went ahead and checked out the difference between “default” and “Filmic” and the difference is there, it’s just that None = Base Contrast (or rather, BC = None) now, instead of None being the dull look you see in 2.78-Filmic and BC being the “much closer to Default but better f-stops” look. It’s probably just better to merge Blender with the original Filmic, like you had to in 2.78.